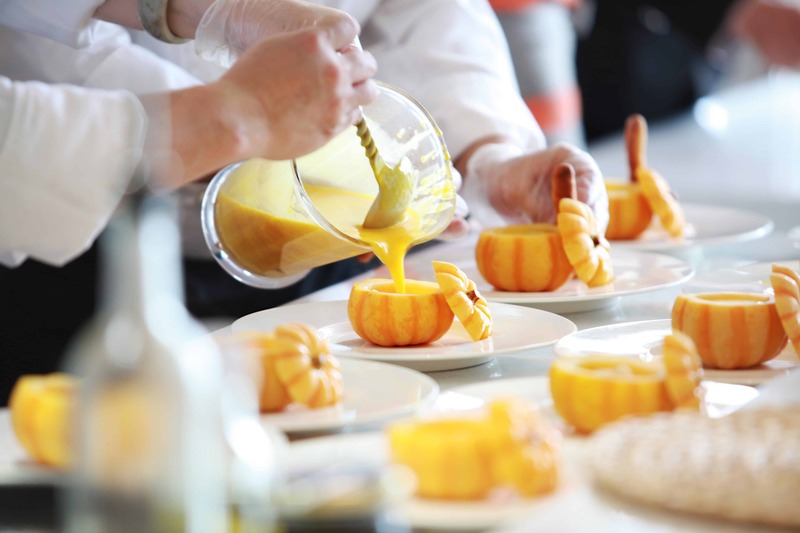 There are five classic building blocks taught to aspiring chefs and culinary students and come from classic French cooking. These five “mother sauces” can be traced back to at least 1903 with the publication of Georges Auguste’s Le Guide Culinaire. Auguste added Hollandiase to the four that celebrity chef Marie-Antoine Carême made famous in the time of Napoleon and Rothschild with his L’Art de la Cuisine Française. Carme lived a colorful life among Europe’s elites. He is considered to be the first celebrity chef and, in addition to categorizing four of the five Mother Sauces, he originated the chef’s toque or iconic chef hat and uniform still worn by chefs today. 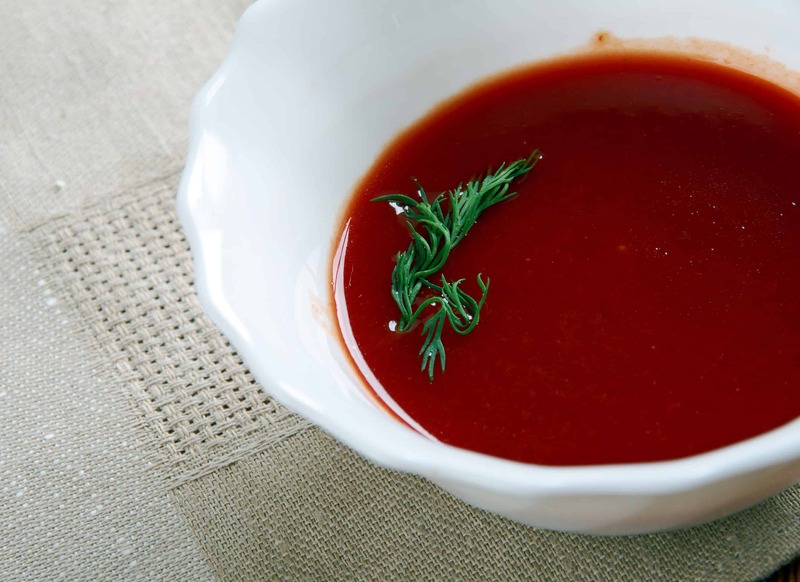 The five sauces are known as the Mother Sauces because they are the bases for almost every other classic sauce that you’ve ever heard of and are the base from which you may use to create your own new delicious sauce. With these basic sauces, you can start with classic French cuisine to build, combine, tweak to make almost anything sauce related. It’s always good to start from the fundamentals, because from there you won’t need to rely as much on other recipes as you can on yourself to make your own as long as you know from where to start. There are two types of building blocks for each of these sauces. The first is a Roux. A Roux is used as the base of all of the mother sauces except Hollandaise sauce. It is a mixture of a fat (in most cases clarified butter in other cases the recipe will tell you which fat) and flour in equal parts. Clarified butter is just butter as you know and buy it in the store with the water removed so that it’s just the fats remaining. You can make clarified butter yourself if you want to, it’s pretty easy. You can make a batch of it and keep it in your freezer for up to a year, here’s a detailed clarified butter recipe from Alton Brown that’s worth checking out. Use a saucepan, heat it up. Add the fat until it’s melted or rendered. Stir, keep stirring until the flour starts to heat up and absorb. That’s pretty much it. There are three types of roux: 1) white, 2) blonde and 3) brown. White roux usually only takes a few minutes to come together, followed by blonde roux and then brown roux takes the longest. The second building block is an emulsifier. An emulsifier is used in making Hollandaise sauce. Emulsifiers are a binders, or a kind of cooking glue that holds things together that will not stay together on their own. In Hollandaise sauce, egg yolks are the binder holding together melted butter and lemon juice. Now with these basic preparations, you are ready to make each of these sauces. Now that you know your roux ingredients, you can easily make Bechamel sauce. It uses a white roux. So, add your flour to melted butter until the flour is just slightly browned. It will then be mixed into the butter. Then add milk or cream and you’re done! You’ve just made Bechamel sauce. What Can You Do With Bechamel Sauce? You now have the sauce that you need to make macaroni and cheese. Add mustard to your Bechamel to create a rich mustard sauce. Beyond these basics you may come up with your own creations using any number of ingredients like Parmesan and gruyere cheeses to make a Mornay sauce. (See here for added inspiration). Espanole sauce uses a brown roux. To get there, you will need to brown your butter and flour mixture until it becomes, well, dark brown. To this now brown roux, add roasted veal stock or even chicken stock. Flavor with a mixture of equal parts cooked and diced carrots, celery and onions (known as a Mirepoix). Then add tomato paste or tomato puree, fresh thyme, parsley and a bay leaf. What Can You Use Espanole Sauce For? Espanole is great for roasted meat, but typically modified in some way since it’s too strong on its own. Use it to make a demi-glaze, a Bordelaise, and numerous other sauces like Lyonnaise, Madiera, Chasseur and Bercy, there are many many derivatives. Veloute, like Bechamel, starts with a white roux. To your white roux add a stock and then you have the beginnings of a great sauce. What Does Veloute Sauce Go Into? Add fish stock to Veloute Sauce make a bisque. Add chicken stock to be used as a base in chicken pot pie. Veal stock can be used as a base for gravy. Take a look here for more Veloute derivatives. Start with a blonde roux and to the browned roux add tomatoes until they are reduced in a thick paste. Pretty Obvious But Just In Case, Tomato Sauce Is Used For What Again? Yep, Tomate sauce is the base of all pizzas, although the classic roux preparation is usually skipped these days in favor of tomato paste. You may also use it in almost any pasta dish you can imagine. Hollandaise sauce starts with an emulsifier instead of a roux. 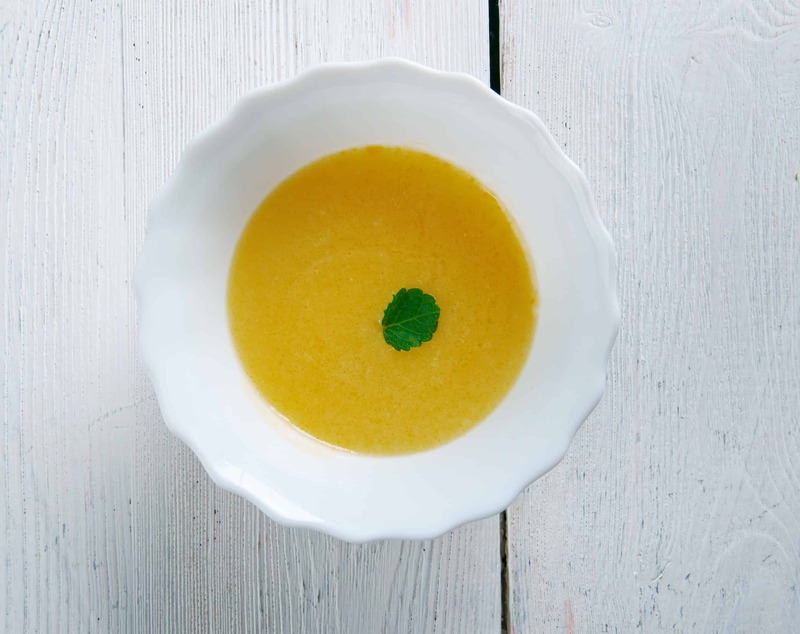 Separately whisk or blend egg yolks with the juice of a lemon or white wine. Slowly mix in the liquid fat or butter until the Hollandaise sauce develops a thick texture. What To Do With Hollandaise Sauce? A classic Hollandaise sauce is on poached egg to make a benedict, check out one of our recipes here. There are multiple eggs benedict variations, with crab cakes, etc. Another classic serving for Hollandaise is paired with asparagus or fish. With Hollandaise Sauce you may also use it as a base in Bearnaise, Malktaise, Mousseline and even mayonnaise. With these five mother sauces, you’ve just stepped into classical French cuisine. Using these basics feel free to cook through all of Julia Child’s recipes, invite friends over for some classical dishes and skip culinary school and experiment on your own gourmet lab. Mix, match, enhance these basic sauces as you see fit to create new pairings and flavors, it’s your call.